We’ve recently hit an exciting milestone, with our Lower Hutt branch providing the equivalent of more than 100,000 meals to local community groups. Kaibosh Lower Hutt’s Jen Gibson with Vibe Youth Coach Lance Fa’afoi. Food rescue not only helps community groups – it’s also good for the environment. From our Lower Hutt branch alone we’ve made a carbon emission reduction of more than 27 tonnes since opening at the end of last year. Now nearly a year into operation in the Hutt, we’re working in Lower Hutt, Upper Hutt and Wainuiomata, and we’re looking forward to building more relationships as we go. It’s been an amazing journey and we’ve been overwhelmed by the support and generosity of the local community, which has come in many forms – people wanting to volunteer (we now have a team of more than 40 people) and businesses wanting to donate food, to name just two. 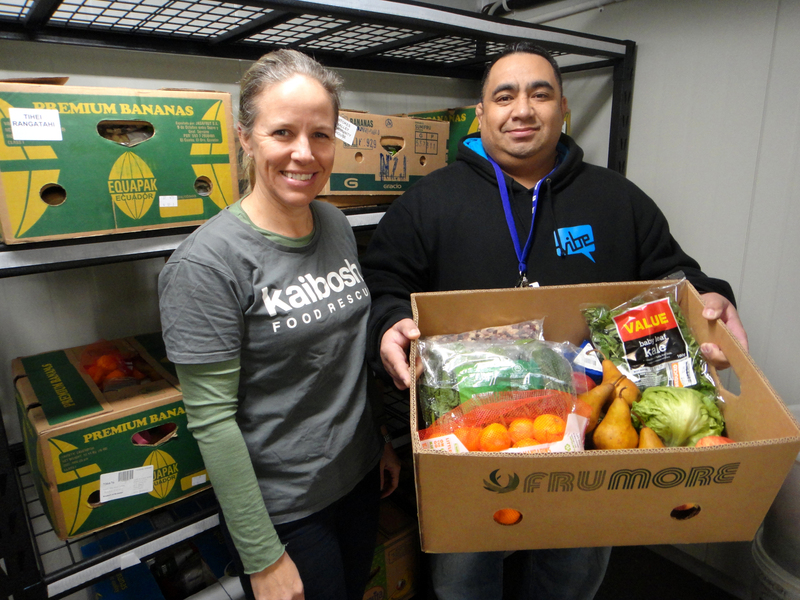 We love hearing these stories of where Kaibosh food goes and how it helps people in our community – keep up to date with our work on Facebook and Twitter if you’d like to hear them too.